2017 has been a quiet year for cross-Strait relations between China and Taiwan. The constant silence between Beijing and Taipei since the election of the Democratic Progressive Party (DPP)’s presidential candidate Tsai Ing-wen in 2016 remained throughout the whole year. The number of mainland visitors to Taiwan and amount of mainland direct investment in Taiwan reduced in 2017, with official dialogue between semi-governmental institutes such as the Straits Exchange Foundation (SEF) in Taiwan and the Association for Relations Across the Taiwan Strait (ARATS) in China hitting almost zero in 2017. However, just because there is no obvious interaction between them, can we say both sides are ignoring each other? The answer is no. 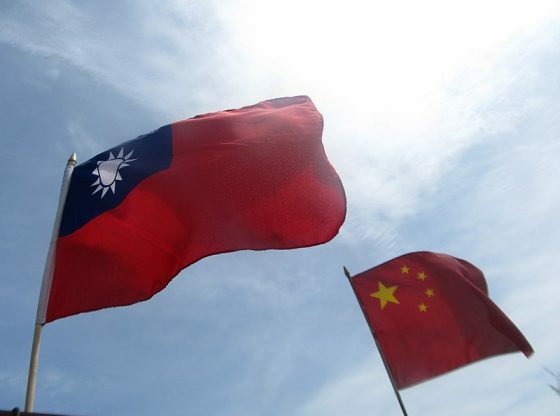 For China, Taiwan is a perpetually unsolvable issue; for the Taiwanese government, the ‘China Factor’ has been overwhelming for both the Kuomintang (KMT) or the DPP governments. On the side of China, at the 19th Congress, President Xi strongly stressed that China will keep defending the sovereignty and the ‘completeness’ of its territories. Taiwan is at the very core of this. Xi also demanded that the cross-Strait issues would be resolved by 2049, but didn’t clarify whether they would be resolved peacefully or by force. More practically, Xi urged the government in Taiwan to recognise the 92 consensus, which is a tactic for both governments in China and Taiwan to recognise the ‘One China’ policy. On the side of Taiwan, these urges from China have not received any positive responses. The current DPP government, led by President Tsai Ing-wen, has not recognised the ’92 consensus’. Tsai has rather diplomatically responded to Beijing on the topic of ‘One China’ by claiming that it was a historical ‘talk’ held in 1992, which is acknowledged by the current DPP government. Yet, the DPP government didn’t use the word ‘consensus’. This is a significant deviation from the expectation of Xi’s government. Based on this, one could easily assume that for the foreseeable future under the DPP government, we will not see a thawing in relations. The chilling relationship between Taiwan and China in fact pushed Taiwan and China to be more actively engaged with the world. On the part of Taiwan, since the inauguration of President Tsai Ing-wen in September 2016, the Taiwanese government has actively initiated several new projects in order to strengthen economic and civic connections between Taiwan and Southeast Asian countries. 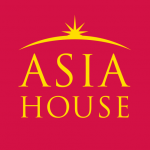 Exploring links with Southeast Asian countries was first promoted in the mid 1990s, by then-President Lee Teng-hui. The purpose of directing Taiwanese economic links to the Southeast Asian countries was to avoid vast investments going west, to China. Under the current ‘quiet relationship’ with China, President Tsai has pushed Taiwan’s New South Bound policy (NPS) with the expectation that Taiwan can establish close economic and civic relationships with Southeast Asian countries instead of concentrating solely on the Chinese market. On the other side of the Strait, China’s global strategy is even more ambitious. The One Belt One Road project (OBOR, later known as the Belt and Road Initiative, BRI), initiated by Xi, took shape in October 2013. It is envisaged to connect vibrant East Asia and Europe via the Silk Road Economic Belt, linking China with European countries through the 21st Century Maritime Silk Road. Its ultimate goal is to facilitate trade and investment in Eurasia and promote economic growth. In the maritime belt, China’s has been heavily involved with the Southeast Asian countries’ infrastructure investment, including bidding against Japan in order to gain the contract for the Singapore–Malaysia high-speed railway track construction. At the end of 2017, and to a greater extent until the end of Tsai’s tenure, the possibility of official dialogue between the Chinese and Taiwanese governments will be limited due to their fundamental disagreements on the basis of the ‘One China Principle’. The overlapping of China and Taiwan, as far as one can see, will be in South East Asian countries. The differences between China’s BRI and Taiwan’s NSP are, firstly BRI emphasises infrastructure building, whereas the NSP emphasises people to people dialogue. Secondly, the BRI is almost hundred percent engineered by the central government, whereas the NSP has been encouraged by the Tsai’s government, but it would require significant effort from different groups of society. In other words, the driving force of the NSP is not the Taiwanese government, but social forces. Therefore it will be very interesting to observe in the New Year how Taiwan and China interact through the third party, the South East Asian countries. Observers of the cross-Strait relationship need therefore to also look at the South East Asian countries, with the implication of retrieving US power in the region. As a result, the cross-Strait relationship will no longer be a bipolar game, but a multipolar one. Chun-Yi Lee is the Founding Editor of Taiwan Insight, Director of the Taiwan Study Programme and an Assistant Professor in the School of Politics and International Relation at the University of Nottingham. This article was first published on Taiwan Insight and can be found here. Image Credit: CC by Wikimedia Commons.